I was struck by the prominent country/western influence on the album, which led to a brief discussion of the band's absence in the accepted narrative of southern rock and you warning me that The Birds, The Bees & The Monkees isn't that great. You know, I really enjoy being vegetarian but every so often I'll feel a sudden urge to go back to cannibalism. WPINOYB is a very uneven album but the band sounds consistently good throughout. I don't even have any complaints about Jesse, who seems to have learned how to exercise some restraint. I'm sure some of it has to do with Joe Chiccarelli's input as producer and I hope he sticks around for the next album (if there is a next album). I don't really care for My Father Will Guide Me Up a Rope to the Sky all that much, mostly because it sounds too similar to what Gira was doing with Angels of Light prior to reinstating Swans and it in no way hints at the gargantuan sound and scope of their last two records. However, it's a good entry point to the current incarnation of Swans and I think you might like it. Several of the songs are sort of apocalyptic country/blues jams. I know, and if I hadn't posted that link someone else eventually would have. I just wish starting a thread on here didn't mean planting a landmine. Chuck D is indeed the man. I haven't heard much latter-day PE; I listened to the album they released a few years ago and it didn't leave much of an impression, unfortunately. P.S. Sorry it took me so long to respond. I'm not feeling well and I'm still recovering from seeing Swans on Friday night. I wish I never started that thread. Have you heard this?! New De La Soul song featuring Chuck D.
I couldn't roll my eyes hard enough when I saw that Instagram post. So smug. What really mystifies me is that there were a considerable number of people actually upset at the prospect of him leaving the band. He was the weakest link ten years ago and he remains the weakest link today. I can understand fans not wanting inter-band strife, but I can't fathom how the change could have been a bad thing beyond causing a bit of a hiccup in the tour schedule. Swords is an exceedingly average compilation with a few gems buried underneath all of the "plodding mediocrity," to quote its Guardian review. Many of the songs are lifeless with static arrangements that don't go anywhere. "My Dearest Love" is one of my favorite Morrissey tracks in recent years, however, and Mikey Farrell showed us what a great song "Sweetie Pie" could have been. I am cautiously optimistic that the rumor is true that the blight of Jesse has been trimmed away from Camp Morrissey. It begs the question: has the good ship Alain sailed too far past the horizon? Or can we expect another Yank(er)? Out of morbid curiosity, I spied with my watchful eye one "Adrianna" in the Twitter feed linked to the story. Coinkydink? I gave Pisces, Aquarius, Capricorn & Jones Ltd. a few listens and enjoyed it. You're right: several of the songs are tinted with shades of country-western, yet the Monkees are seldom if ever regarded as influential in originating the country rock genre. The album was even released prior to Gram Parsons-era Byrds! I'm hoping to listen to The Birds, The Bees & The Monkees soon, as I was really impressed with "Writing Wrongs". Thank you! Same to you. I hope you enjoyed Rook and I'm pleased you stumbled upon "My Good Deed," which is a great song. The album it's from, Winged Life, is a bit lo-fi compared to their later releases but stunning nonetheless. No idea why that Marr guy is on the cover of Q. Just who does he think he is? A songwriter or something? Pish! Thanks, Jamie! I hope you enjoy your holiday, too. I'm glad you're looking into Shearwater. I listened to that Monkees song and it was not at all what I was expecting, especially the shuffle rhythm that emerges out of nowhere near the 1:40 mark. Wild! I also love the wordplay in the title. I just noticed an error in my last message: it's Death Grips, emphasis on the "s". 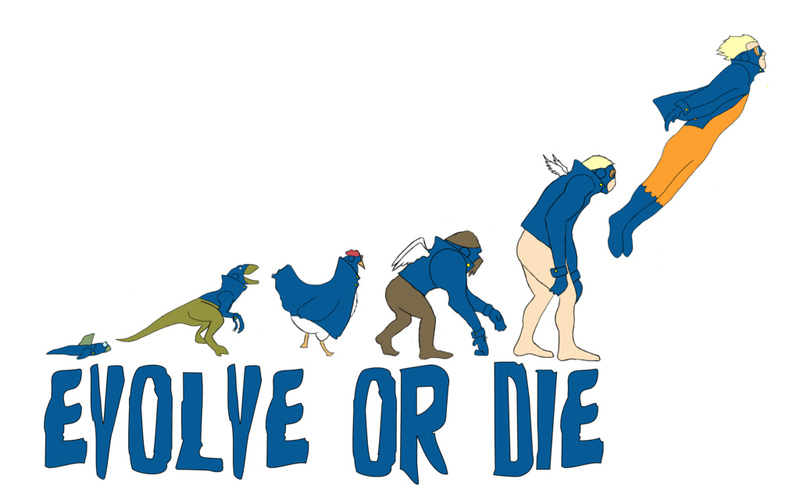 Here is a link to Animal Man image I mentioned in my PM but stupidly forgot to embed. No worries - Glad to hear your thoughts in less condensed form. Had a crazy Monday so will try to respond cogently in the next few days. I'm really glad you enjoyed it. Animal Man is the only title I really liked after DC's New 52 relaunch. Lemire also wrote a Vertigo series called Sweet Tooth which is absolutely worth checking out. It's from the first issue of Jeff Lemire's Animal Man reboot from 2011. Thank you for the friend request. Your contributions to the forum are always thoughtful and a joy to read.